Pre-owned however little used and in good, clean, use-able condition. 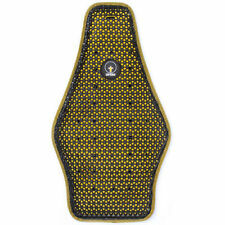 Forcefiled FF1008 BLade L2 Back Protector Product Code: FF1008. Using a very simple layered design the Blade is made from Forcefield's shock absorbing material NitrexEvo® in an open system which allows it to move free of obstruction from stitching and binding creating a highly flexible and comfortable back protector that 3D moulds to the riders exact body shape. Forcefield Pro L2K Evo Dynamic Motorcycle Back Protector Large Mens - Never Worn. CE approved to EN1621-2 Level 2 Aramid fibre stitching Repeat Performance Technology (RPT) DRI-M technology (Dynamic Reactive Intelligent Material) Fully adjustable shoulder straps 3 point waist adjustment Heat activated 3D body moulding High energy absorption Breathable and lightweight Dispatched with Royal Mail 2nd Class. CE Approved to EN1621-2 Level 2. Anatomically and ergonomically designed. Designed to replace existing bulky armour. 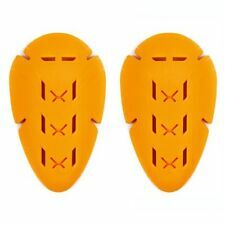 Forcefield Isolator 2 Upgrade Armour - Knee Forcefield Isolator 2 Upgrade Armour - Knee. 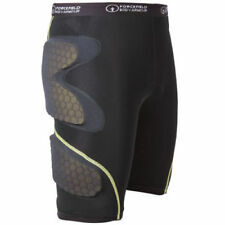 Forcefield Isolator 2 Upgrade Armour - Knee. High grade CE level 2 protection designed to replace existing bulky armour. 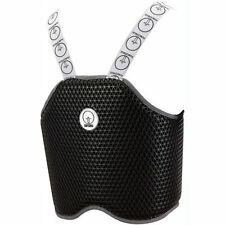 Forcefield body armour upgrade back insert to fit into your motorcycle jacket, level 2 protection. Never crashed or impacted, as new. Based on the Forcefield Pro Shirt X-V, the ultimate all action shirt, the Pro Shirt X-V-S is a short sleeved version with removable armour at the back, chest and shoulders housed in a highly breathable BeCool technical base layer shell but with the option and versatility of wearing a separate elbow protector if desired. Support sleeve. Multi Sport Use. Complete with detachable single strap for use on its own, without the need for tight outer clothing. They are machine washable when armour is removed from pockets in tube. Forcefield Pro L2K Evo Dynamic Back Protector Motorcycle Motorbike Armour J&S. Condition is New with tags. Dispatched with Royal Mail 2nd Class. Forcefield Pro Shirt. Only used for a few seasons of snowboarding. I only used it for the shoulder and elbow pads and as a result, I have misplaced the chest pads as I never used them. I found them restrictive and uncomfortable and I never saw the point in using them. If they turn up they will be included, but please expect them to be missing from the shirt. Great shirt with minimal use. Buyer will not be dissapointed! Fully CE approved to Level 2. LITTLE USE. Super Low Profile. Adjustable shoulders and waist belt. Repeat Performance Technology (RPT). Highly Flexible. 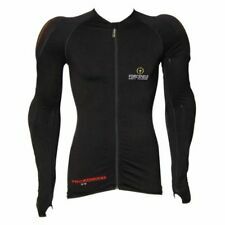 Very adaptable, shoulder and elbows can be removed so used as chest and back protection. Can be used for other sports. Forcefield Body Armour Long Pants. Size M Condition is New with tags. Dispatched with Royal Mail 2nd Class. The Forcefield Pro Vest XV is the latest addition to this family of products. Sleeveless Vest with Chest pads and Level 2 Back Insert in Becool base layer material to add to the successful Pro Shirt family of product. 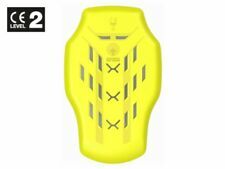 Forcefield Isolator 1 Upgrade Back Protector - 003 Forcefield Isolator 1 Upgrade Back Protector - 003. Forcefield Isolator 1 Upgrade Back Protector - 003. CE level 1 back protection designed to replace existing bulky armour.